Bernie: Can sweet people do evil things? No, this is not a review of Weekend at Bernie’s, that classic 1989 dark comedy about a wealthy dead man who is kept “alive” by his two idiot employees. Ironically, this Bernie is also about a dead rich person who the town thinks is still alive–but it’s a woman this time, and is actually a true story. The film stars Jack Black as Bernie, the sweetest man in small town Carthage, Texas. Shirley MacLaine is the wealthy widow that he ends up murdering, and Matthew McConaughey is the quirky D.A. who prosecutes Bernie. You need to watch Bernie simply for Jack Black’s incredible performance as the lead character. Personally, I’m not a big fan of his movies–other than Kung Fu Panda–but he really captures this part perfectly. Spoiler alert! Bernie Tiede comes to a small East Texas town and becomes its assistant funeral director. He is a chubby, partially effeminate man who the old ladies find intoxicating because of his sweetness to grieving families. The movie opens with Bernie training young morticians in the art of preparing a dead body for a viewing, as well as how to care for the bereaved. But Bernie is much more than an incredibly sensitive funeral director. 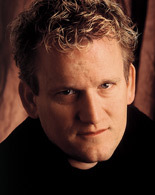 He is the lead tenor in the Methodist church choir. He teaches Sunday School. He volunteers his time to teach drama at the local high school. He even acts and sings in the high school musicals. And the list goes on. Bernie finds time to help almost everybody in town in some way. Bernie’s practice is to visit widows a few days after a funeral to check on them–especially the elderly ones. On one such occasion, he reaches out to the richest (and meanest) widow in town, Marjorie Nugent (MacLaine). Gradually, he becomes her personal assistant, taking her to dinner, traveling with her, and even handling her financial affairs. The townspeople don’t know if Bernie has become her paramour or is just being sweet (because he may be gay anyway). In the end, Marjorie becomes so controlling of his life that Bernie shoots her in the back five times and stores her body in the freezer. For nine months, he goes about life as usual, giving the appearance that she is still alive, and just reclusive. Only the local D.A. (McConaughey) and Marjorie’s stockbroker are suspicious, since they never succumbed to the saccharine sweetness of Bernie. What’s fabulous about this movie is how the true story is interspersed with the “real” townspeople of Carthage, giving their play-by-play analysis of the entire tragedy. These characters really capture the feel of small town Texas, that’s for sure. And, unfortunately, they are pretty typical Bible Belt evangelicals too, albeit on the naive side of the spectrum. With their descriptions of Bernie, you would think they were describing Jesus Himself–which caused quite a dilemma when Marjorie was discovered to be murdered. Even then, many of the people of the town either dismissed the idea of Bernie’s guilt, or found ways to rationalize how he could have committed such great evil. In the end, the trial actually had to be moved to another small East Texas town because there was no way Bernie could have had a fair trial–he was too universally LOVED! Which brings me to the main question of this post: Why do we have trouble believing that sweet, kind people can do evil things? We seem to be able to understand the Adolph Hitlers and Osama bin Ladens of this world. After all, evil people do evil things, right? But even then, if evil people show the right amount of remorse and sorrow, we are tempted to exonerate them, no matter how horrible the crime. So it is even worse when a “good” person does something really out of character! Bernie had done so many great things for so many people that it was beyond belief that he even had an evil thought, much less commit murder. The problem is that so many people, even evangelical Christians, don’t really believe in total depravity. I see it in the eyes of parents when they talk about how unbelievable it is that their “good” child could have done such bad things. They attempt to explain their child’s sins away, blaming friends, fatigue, or some bit of misfortune. In this humanistic age we live in, many do not want to believe that people really are depraved and sinful. But the truth is that there is no such thing as a good person. Jesus himself said: “Why do you call me good?” Jesus answered. “No one is good–except God alone.” (Luke 18:19). When we don’t believe in total depravity and the deep-seated wickedness in the heart of man, then we will easily close our eyes and excuse behavior instead of expose it. Bernie is a film that exposes our desire to see the world as a place where good people do only good things and bad people do all the bad things. This sort of thinking doesn’t leave room for a good God who alone saves even the “sweet” people of this world! Now this is a much better movie poster than the one in yesterday’s post! 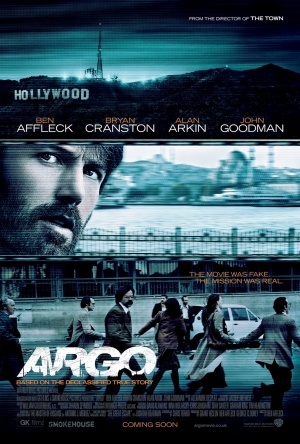 In this UK version, we see a better picture of what Argo is all about–the involvement of Hollywood into the dramatic political events of the 1979 Iranian hostage crisis. 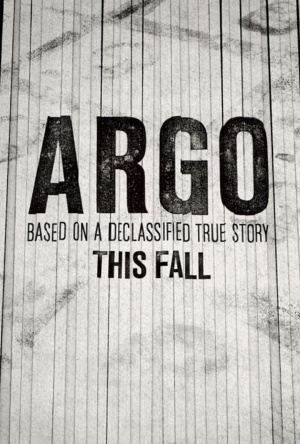 As I’ve already discussed, Argo takes its name from a fake movie used by a CIA operative to attempt to free American hostages during its fake filming in Tehren. You will have to watch the movie to find out what happened (even though the ending may not be the part that is “based on a true story”). Argo introduces us to some courageous people who attempted true heroics in a crazy-but-daring rescue scheme. People who risk their lives to save others should ALWAYS impress us since it points us to our Lord and Savior Jesus Christ! Of course, not all heroes are motivated out of a love for Jesus and/or a love for people, but the sacrifices they make are very Christ-like in nature. But I would suggest that movies like Argo can also remind us of the heroic stories found in Scripture. (If they don’t makes us think of those true stories, maybe we spend too much time watching movies rather than reading our Bibles!) From the beginning to the end of God’s Word, we see men and women risking their lives to save and deliver others. Abraham’s daring rescue of Lot comes to mind. 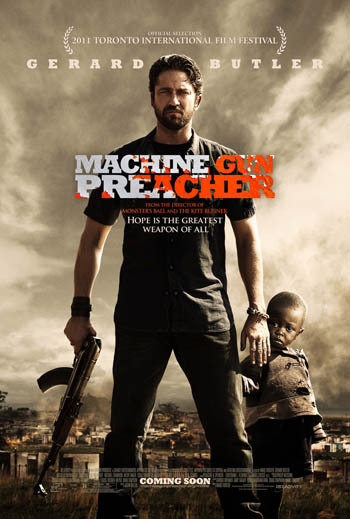 Then there’s David and that slingshot saving an entire army and people of God. Or maybe you recall Rahab risking her life to protect Israelite spies. How about Samson defeating all those Philistines in his own death! Finally, some of my favorite vignettes “star” David’s mighty men as the ultimate Navy Seals and Army Commandos. Now that’s a story more than worthy to be a blockbuster Hollywood film! As fascinating as the heroics of the characters in Argo might be, we are blessed to be given stories of people like Ehud that should absolutely blow us away every day. These hero stories should deepen our awe of a God who providentially equips His people and controls situations according to His good pleasure. But they also point us to the most amazing hero tale of all time, the one about a hero who sacrificed His life on a cross at Calvary to deliver us from the ultimate enemies of sin and death. Our sovereign Script-writer and Director came up with the ultimate plan, which is the most successful rescue in all of history! Argo takes us back to the 1979 Iranian hostage crisis, a time in American history I remember vividly (being 13 at the time and just getting interested politics and world events). My main memory of these series of events was the bumbling failed efforts of President Jimmy Carter to free the hostages, followed by the strong leadership of our next President, the great Ronald Reagan, and the hostages’ eventual release. But unknown to all of us at the time was the true story of a CIA operative who hatched a plan to create a fake movie in order to smuggle six American hostages out of Tehran–the story told in Argo. The odd movie title Argo was the actual name of this Star Wars rip-off film that enlisted Hollywood personnel to make it look as real as possible. From all the early reviews, this “declassified true story” is quite a brilliant, humorous, and dramatic thriller. Now back to my wife’s five favorite words when it comes to movie selection: BASED ON A TRUE STORY. So why do those words motivate her, as well as millions of other filmgoers, to flock to movies like Argo? Personally, I used to avoid any movies that claimed to be true stories like the plague. My rationale was that I lived around enough true stories all the time, so I wanted my movie watching to take me AWAY from all that reality! I wanted stupid, mindless comedies, or science fiction, or comic book flicks, or…well, you get the idea. BASED ON A TRUE STORY always made me think the movie would be an emotional gut-wrencher that would just wear me out rather than refresh and revitalize me. I even avoided the movie Titanic for years by telling people who begged me to watch it: “I know how it ends. The boat sinks.” But, thanks to being forced by my wife to watch hundreds of “based on a true story” movies, I have come around (or maybe I’ve been brainwashed) to see the value in this genre. So back to the central question of this post: Why do we watch these movies? Why does it fascinate us to watch film renditions of true stories? One could argue that it is because of our fleshly voyeuristic tendencies: we simply enjoy watching the trials and travails of others. Or, maybe we just like to be “in the know,” and watching a theatrical history is easier than just reading or hearing about it. Those might be contributing factors, but I would like to believe the primary reason is connected to our status at image-bearers. We love true stories because our souls long to learn more of the true story of God! All true stories are pieces of HISTORY and history is really HIS STORY–it is all about God, His Plan, and His world. Whether the average person recognizes it or not, true stories tells us more about God’s creation, God’s providence, human sin, and the course of His wise plan. Thus, these stories can and should fascinate our hearts. 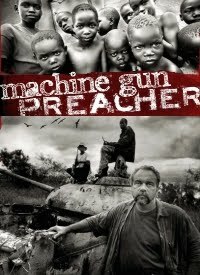 If my reasoning is sound, then Christians should be even more enthusiastic about movies that are BASED ON A TRUE STORY! 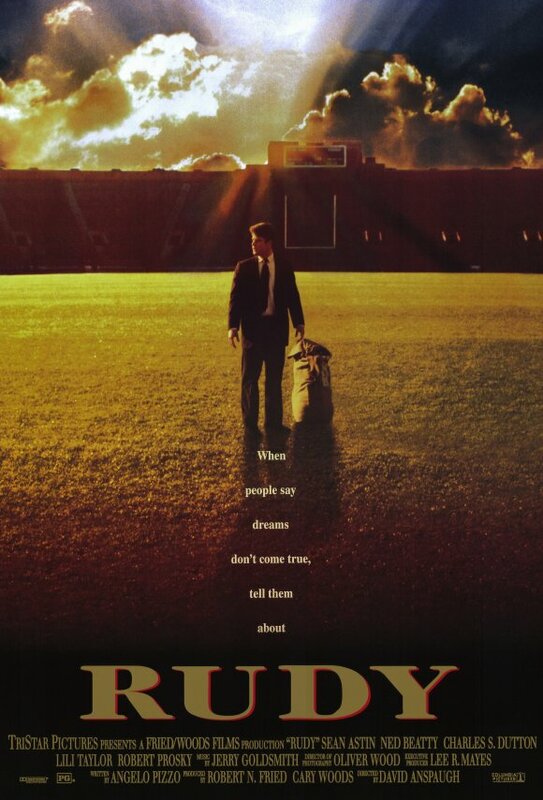 Now that doesn’t mean that every true story is worth watching, especially as produced by Hollywood. There are many that just sensationalize all the wrong things about our world. But the true stories that give us opportunities to think about what God is doing in history and how He works in the lives of people are good for us to enjoy–and learn from. We’ll talk more about that in relation to Argo in tomorrow’s post. Until then, give thanks that ALL of OUR true stories, even the difficult ones, are simply part of a sovereign, loving, and gracious God’s plan!